A brief interlude of high 70’s and 80’s disappears starting today. It’s 50 and rainy. Better, in my opinion. And more fitting for Michaelmas anyhow. The springtime of the soul. 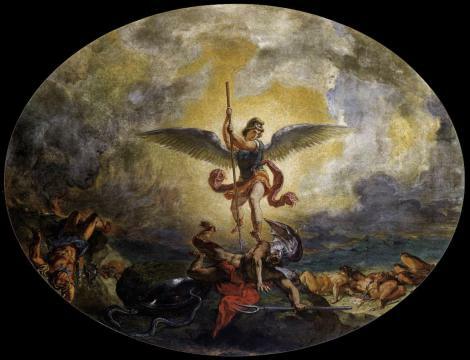 St. Michael, the Archangel, is God’s general, the militant leader of the warrior angels, chief strategist in the war against the rebel angels and instrumental in ejecting Lucifer, the Morning Star, from heaven. 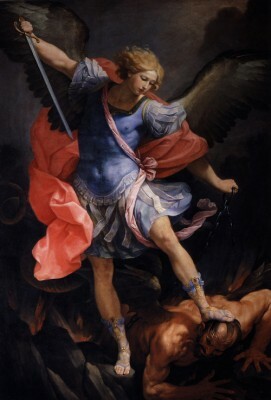 His mass day, today, September 29th, honors him and the other archangels, Gabriel and Raphael, and often, Uriel. Michaelmas was one of the four English quarter days which celebrated equinox and solstices on set days rather than on their astronomical occurrence. Thus, Michaelmas celebrates the autumnal equinox, which one author called the day of the “darkening.” It is the start of the English university first term and a day when rents were paid for the year, contracts settled and festivals held. goes down into the ground either as seed or as root and gathers its energy, readying itself for emergence in the spring when lightening begins and temperatures warm. Just so with us. As a cold rain falls here today on Michaelmas in Andover, the joy of sitting inside with a book, or meditating, writing, sewing, quilting comes. Our inner life can begin to blossom, the richness in the soils of our souls feeds projects and dreams and meditations. This springtime of the soul has only begun today and it will follow, over its time, the fallow season. I welcome you to this nurturing, deep time. Blessed be. Michaelmas is here, the springtime of the soul. This is a new entry for the Great Wheel series and begins time with the four quarter days of the British old calendar (see information from Historic UK below*). These quarter day are close to the equinox and solstice days, following the actual occurrence by a few days and having the advantage of a fixed date on the calendar for festivals and other events rather than relying on variable astronomical conditions. Our Supreme Court begins its new term on October 1st and the government fiscal calendar restarts then, too, a shadow of this tradition well in place at the time of the American Revolution. If you read books that relate matters of witchcraft, they will sometimes refer to these quarter days and/or the Catholic holidays for the cross-quarter days. That is, Lughnasa, August 1, for example, was Lamas, a mass for the first loaves of bread made from the new harvest. 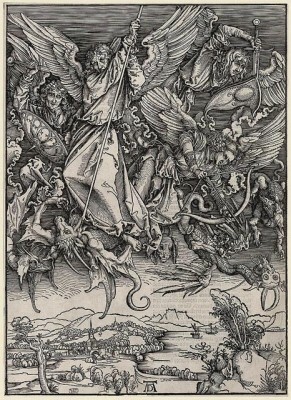 I love the imagery recounted below about Lucifer expelled from heaven and landing on a blackberry bush. 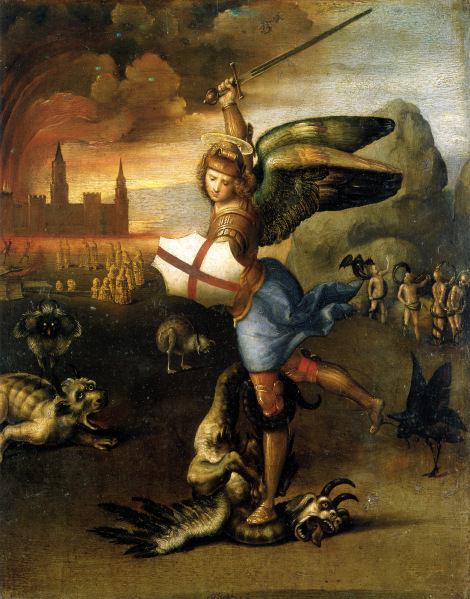 Of course, the implication is that it was the Archangel Michael who booted him out. By now, a full week after the fall equinox or Mabon, there are already 21 more minutes of darkness than light.